Cross-slotted screws for mounting of fans on radiators. 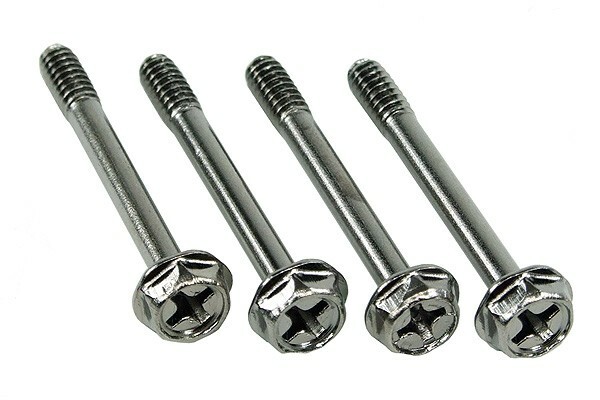 Screws with the special UNC thread, which is from the non-metrical unit system, was specially added for use with radiators from the UK and the USA. The UNC 6-32 is sized between M3 and M4. The flat, larger head gives the screw a larger contact area, which allows covering of larger holes, which often are in many radiator grills. Additionally these screws are not only a constructive element, they also look just great! The thread length was intentionally kept short to prevent accidental damage to the radiator fins by screwing in the screw too far. But still always take great care to check the length of the screws and threads before installation. Important: These screws should only be used with 25mm thick fans as the screws are too long for thinner fans and may hence damage the radiator. If a radiator grill is used the screws usually fit again with 20mm thick fans. Please note: Screwing in the screw too far may result in damage to the radiator, please always check the length of the screw. The screws may not fit in all cases!